How to build a liner pond. How to fit a liner. 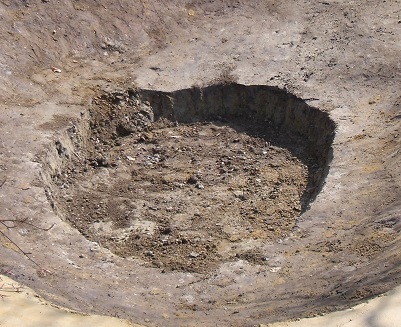 Would you like to build a pond but don’t really know where to start? 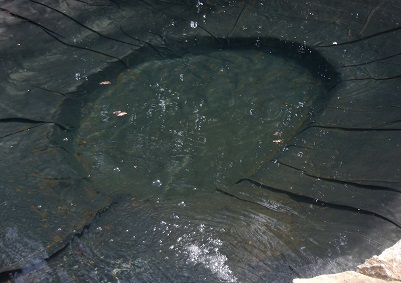 Garden water features and fish pond designs often use a liner to hold water. This guide to building your own pond includes advice and equipment list needed to build a 2.5 x 1.5 meter pond on a small budget. Measure out 2.5 meters for the length of your pond and mark. Now measure 1.5 meters across the 2.5 meters, you can do this anyway you like as long as they cross at some point. Take the rope and lay it around the ends of your measurement makers. This will give you your pond shape. You can move this around and experiment as much as you like as long as you keep within the measurements. Now that you have your pond shape start to dig within the edge of your shape. Once you have a defined shape remove the rope and start to dig down 20 cm only. Having removed all the soil at 20 cm you will need the rope again to mark out the deep part of the fish pond. The easiest way to do this is to measure 20 cm in from the pond edge and repeat the pond shape but smaller. Now dig the deep zone at a depth of 30/40 cm . This will give you an overall depth of 50/60 cm. Level around the top edge of the pond using the spirit level and shovel. 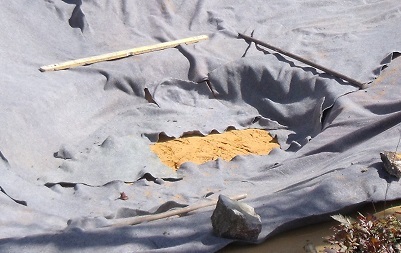 Pond liners can pierce and it is a good idea to protect it from stones in the ground. 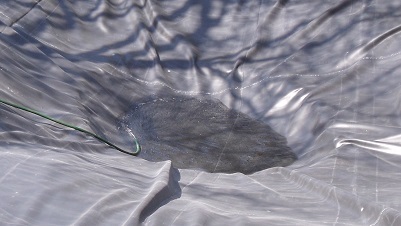 You will need to line your pond with underlay before you install the main liner. Cut the underlay so that you have enough to cover the excavated area. It is a good idea to slightly wet the underlay as it will help to hold it in place. Lay your liner over the pond a bit like a drum skin and anchor it down with some light weights and start to fill. The weight of the water will now pull the liner down to the bottom of the pond. Gently release the weights as the water level rises making sure that you keep the liner taught. This is done to reduce the amount of creases in the liner and ensures a tight fit. Turn the hose off when the water nearly reaches the top level of the pond. You are now ready to edge your new pond. I have chosen not to cement the pond edging to keep the cost down. You can edge your pond with rocks, bricks or whatever you like. After you have posioned your edging cut away any excess liner. You now have your basic pond, it will need to be planted to obtain a good balance. I would aim to plant at least 30% of the water’s surface. For advice on plants read Pond plants or why not check out our fountain design & construction . If you are thinking of building this simple pond good luck, if you have already built it, enjoy…….